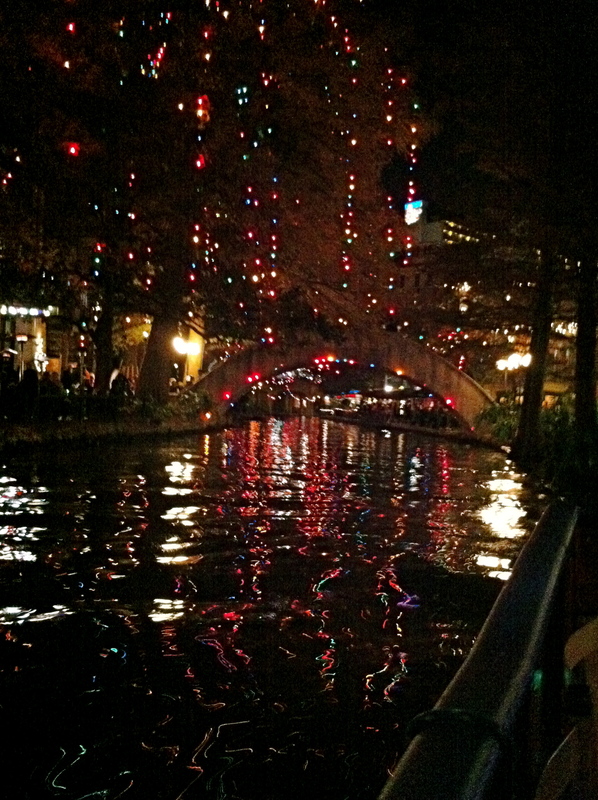 San Antonio is one of the most romantic cities in the USA. My husband and I spent our honeymoon here many moons ago. 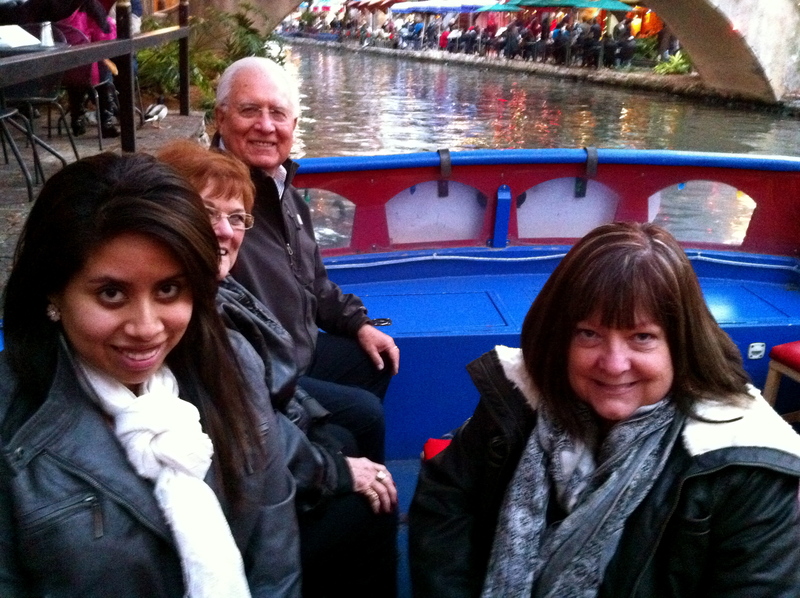 Well, we returned with our daughter and good friends for a Christmas getaway. 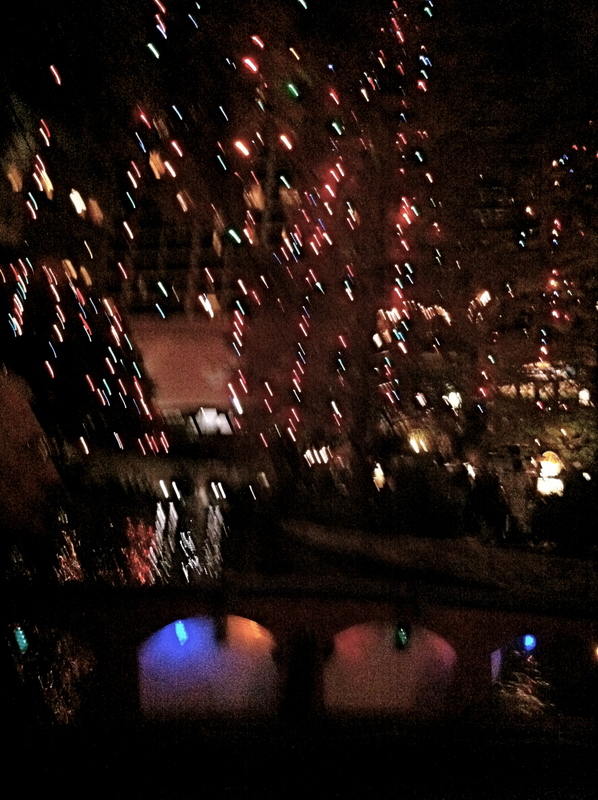 The San Antonio river winds through the city, and it is decorated beautifully. So festive. We enjoyed a long boat ride the first night we arrived, although it was as cold as the North Pole, we still loved all the colors, people, shops, and music. Well, it is already post Christmas, but the fun and festivities continue… on the banks of the river.